Pants - 142 - Blowout Sale! Save up to 52% | What Should I Say? Blowout Sale! 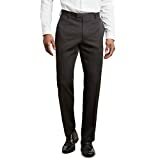 Up to 52% off on Pants at What Should I Say?. Top brands include Levi's, IZOD, Haggar, UNIONBAY, Match, LA Police Gear, Cubavera, Dockers, Arctix, Savane, Mr.Zhang, Kenneth Cole REACTION, & Franklin Tailored. Hurry! Limited time offers. Offers valid only while supplies last.